They Call Me Mr. V: It's on the shelves (and I'm talking about it)! It's on the shelves (and I'm talking about it)! - At Kirkus Reviews, I talk about the importance of diversity and dropping the reader right into the story. - At Nerdy Book Club, I talk about my own "code of conduct" in writing the novel. - At Project Middle Grade Mayhem, I talk about the inspiration behind the book and how my time at VCFA shaped the story. - And, on Sunday, June 1st at 1:00 CST, I'll be talking with Hopeton Hay on KAZI 88.7. If you're interested in checking it out, you can stream the station live. 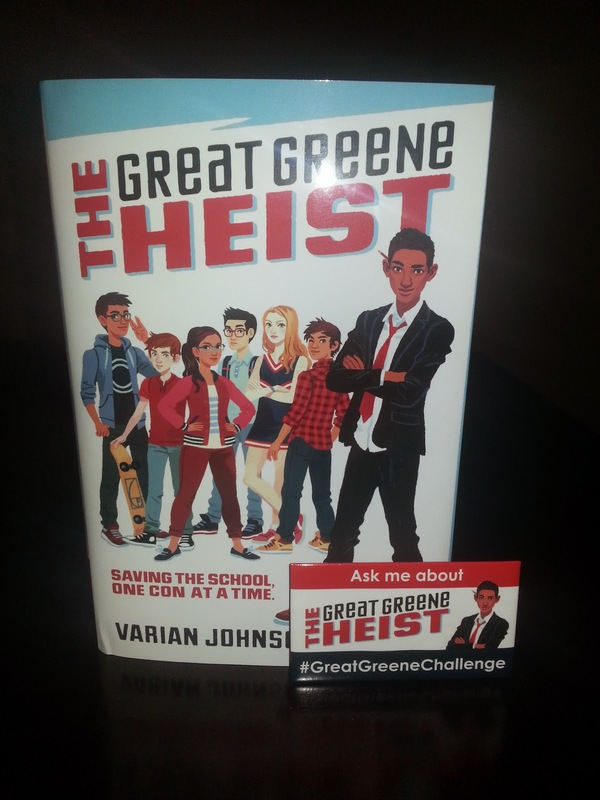 As a reminder, I will donate $1.50 for every copy of THE GREAT GREENE HEIST sold before and during the first week of release to Girlstart, a nonprofit that encourages girls' interest and engagement in science, technology, engineering, and math (STEM). Specifically, I'll be supporting their Summer Camp Scholarship fund called Send a Girl To Camp, which helps to sponsor girls for week-long camps focused on STEM programs. Save for a few events such as my joint launch with Jennifer Ziegler and Greg Leitich Smith (details coming soon), the #SharpSchuBookClub, and LeakyCon (!!! ), I'm taking the summer off, but I'll be back on the road in the fall.